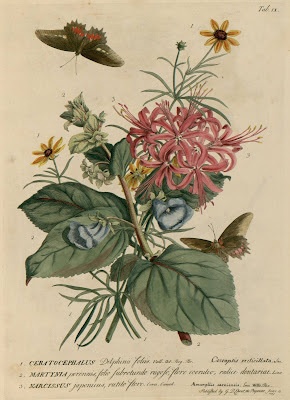 After studying horticulture in his native Germany, Georg Dionys Ehret (1708-1770) moved to Holland where he pursued botanical illustration. 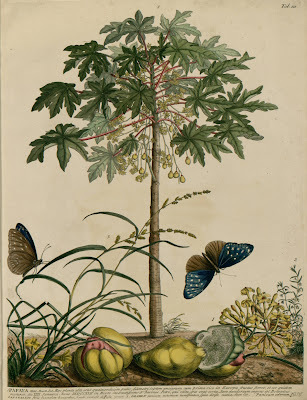 In a suitable testament to his distinguished talents, the great Carl Linneaus was among the first supporters of Ehret, with whom he collaborated on a book recording the contents of the renowned Georg Clifford estate ('Hortus Cliffortianus', 1838). 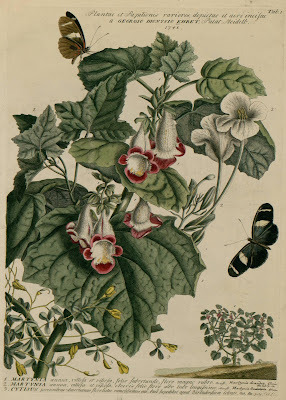 Ehret spent the second half of his life in England and was to become one of the most respected and influential botanical artists of the 18th century. 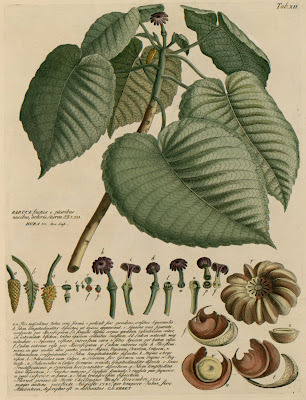 He had already become known to the physician and passionate botanist, Chrisoph Trew, who acted as patron and publisher to Ehret for decades. 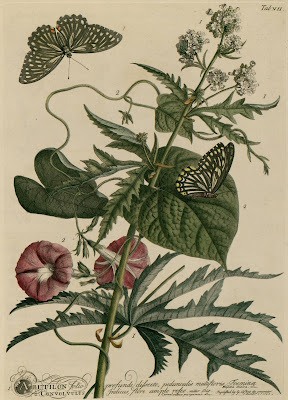 Their collaboration produced one of the finest botanical works of the century in 'Plantae Selectae', which was published over about 20 years until 1769. 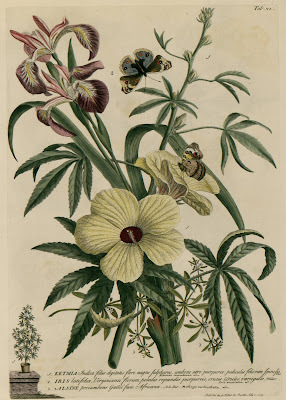 "The miracles of our century in the natural sciences are your work of Ehret's plants. 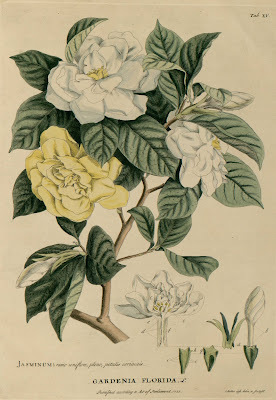 Nothing to equal them was seen in the past or will be in the future." 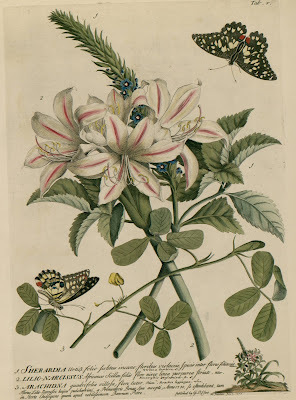 The images above come from a small and very rare self-published series that Ehret engraved and personally coloured, the 18 illustrations being issued between 1748 and 1759. 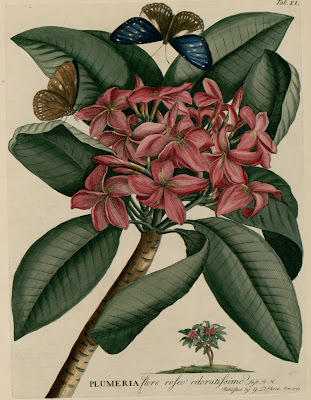 'Plantae et Papiliones Rariores' is online at the University of Strasbourg and they have huge images available. 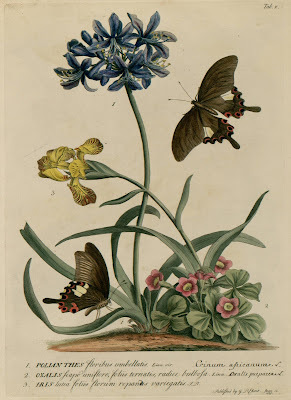 - The University of Maryland have a review of this series and discussion about both Ehret and Linnaeus by James L Reveal. 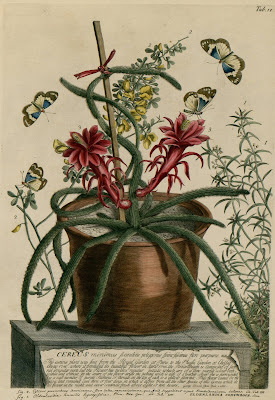 - Georg Ehret at Wikipedia. Never seen anything like this.. beautiful. Thank you.